Small details can make a big difference when it comes to home decor. 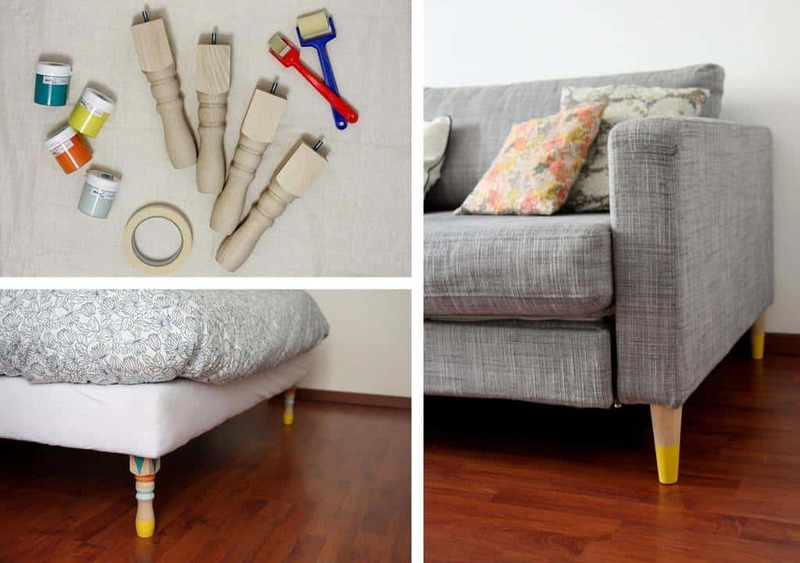 It's the little things that make a house into a home and these DIY Painted Furniture Legs are a great example of this. A you need is furniture with wooden legs, some basic materials and your imagination. Your design can be as simple or as ornate as you like. If you don't have couches with wooden legs then this will work with other things too. You can revamp an old coffee table with a creative paint job or even a window frame. There are plenty of options. If you don't feel comfortable painting a design freehand then use some masking tape. Use the tape to mark out line so that your design comes out perfect. Simple stripes are very eye catching. Be sure to choose colors that blend with existing decor.